Dorm rooms are usually small spaces with a lot of furnishings, electronics, and other items that may contain flame retardants, highly fluorinated chemicals, phthalates, and other chemicals of concern. Detox Your Dorm! 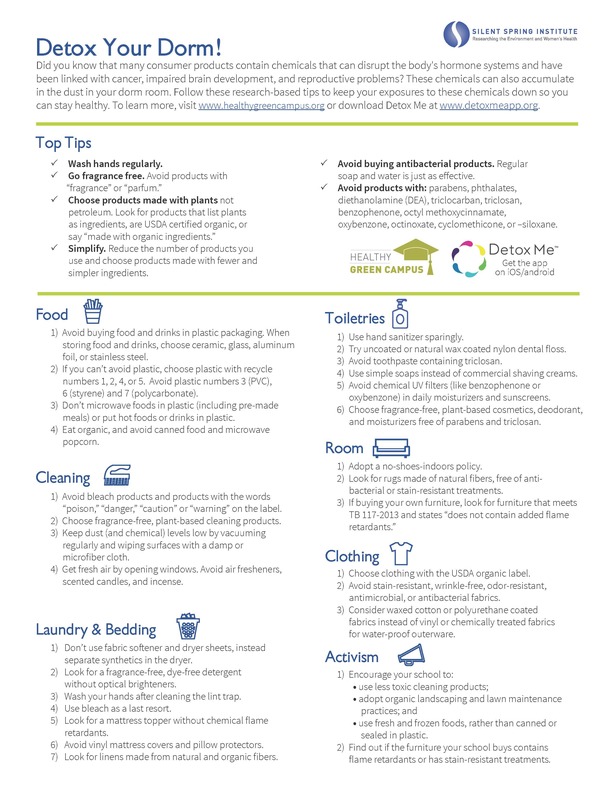 Follow our summary of tips on how to keep a toxic-free dorm room.